Ball-Pythons.net - Robin Abernethy, of Robin’s Nest Reptiles, shares some great new pictures of the fabulous ball python she produced in partnership with Deborah Stewart, of Stewart Reptiles. Ball-Pythons.net - Here are some post shed pictures of this stunning little beauty and its equally beautiful clutch mates, produced in partnership by Deborah Stewart and Robin Abernethy. Bush League Breeders Club - Here’s a great, current picture from Rolf Reptiles showing off their glowing-hot ball python. 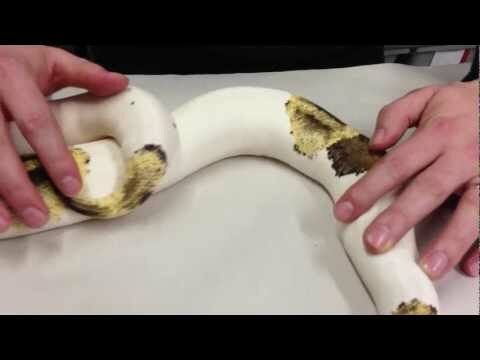 YouTube - Justin Kobylka shares a video update on the Pyro Pied Ball python, a great looking animal! Ball-Pythons.net - Deborah Stewart, of Stewart Reptiles, is thrilled to show off the newest addition to her ball python clan, an absolutely stunning pastel yellowbelly pied.